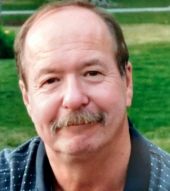 Brian Dunifon, age 69, passed away January 28, 2019. Brian was born on December 30, 1949 in Detroit, Michigan to Robert and Violet Dunifon. He is survived by his wife Laurie of 42 years; Children James Robert (Andrea) Dunifon and Jennifer (John) Sturza; grandchildren: Xavier, Laela, Emily, Madelyn and Penelope. He is also survived by his sister Rosemary (Joe) Prain. To send flowers or a remembrance gift to the family of Brian Robert Dunifon, please visit our Tribute Store. "Email Address" would like to share the life celebration of Brian Robert Dunifon. Click on the "link" to go to share a favorite memory or leave a condolence message for the family.